Google Search Ranking Algorithm Updates continue to roll out in the Mid-December End Year of 2017. As Google Says that there is no Google Algorithm Updates in the Coming days it’s only Continue to roll Outs for the Algorithm Updates. Since last 2 Years Google not Officially any new Algorithm Update Yet. But it’s roll out Continuous the Updates weekly and Monthly…The Latest Indications Suggest the disruptions in Mobile SERP’s, Sites with No Schema Data and those Websites relying on Doorway Pages mostly impacted with the Latest Update roll out. 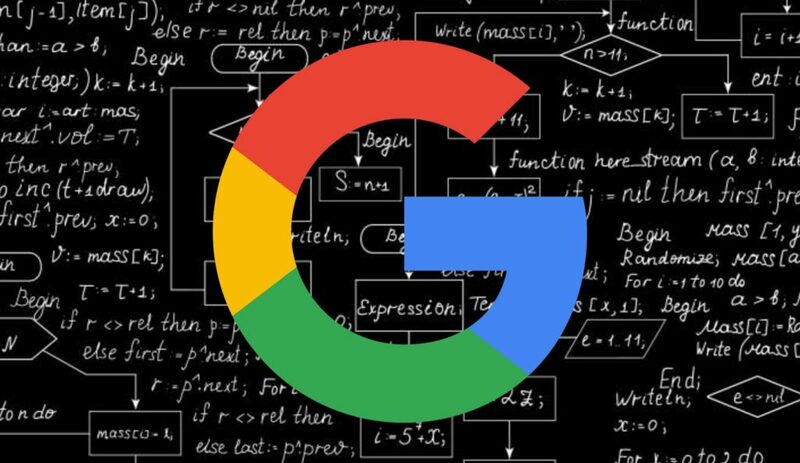 Google Confirmed that what the changes happening in the Search Industry for the last couple of weeks are updates to their Algorithm which showing impact on Search Rankings in the SERP’s. A Google Spokesman confirmed that they released minor Changes and Improvements in the Roll outs at this time are part of their regular and Natural efforts to improve the Search Relevancy. Many Webmasters confirmed that the Updates are related to Keyword Permutations and Websites which are practicing Doorway Pages Technique. The Google Latest Algorithm Roll out also called as Google Maccabees Update. Usually Google Remains Silent for the end of the Year especially in the Decemebr Month due to long Holidays of Christmas Season and New Year Welcoming…so there is no Huge impact on Search in terms of SERP’s Volatility. but this time Google made something fishy with the lastet roll out which happened aroung 14 December which impacts the SERP Volatility highly for Mobile Search and less Imapct on Desktop. The Google roll out Update symptoms are look like Panda and Phantom Relevant. But Later it’s confirmed that the Impact is high on the sites those which are not integrated with schema.org lost Visibility on Search majorly. Doorway pages are the web pages that are created for Spamdexing. This is also so called ‘Spamming the Index’ of a search engine by inserting results for particular phrases with the purpose of sending visitors to a different page. The doorway pages Which are created pages for Search Engine Spiders and users differently. This Technique is used to bluff the Search Engine bots that pages created for the Spiders are different from Users which are not same. When the user clicking on the link which is relevant to his search phrase are redirected to a different Page. These Doorway Pages Technique also known as Cloaking in SEO that content present on the site are different for Search Engine Spiders and visitors. This is also known as Gateway pages, Entry Pages, Jump Pages,Bridge Pages and Portal Pages. Majorly it is well known as SEO Cloaking which is a Black hat Technique in SEO Formerly. Schema.org markup is code (semantic vocabulary)like Latent Semantic Indexing Keywords that you put on your website to help the search engines return more informative results for users on SERP’s. If you’ve ever used rich snippets, you’ll understand exactly what schema markup is all about. The term Rich Snippets is used to describe structured data markup Language that site operators can add to their existing HTML, which allows search engines to better understand what information is contained on each web page Specifically used Rich Data Snippets. These Rich Snippets are used to Brand the Name of the person or Organization, Product Reviews and Rating, Article Reviews and Ratings. Majorly helpful for eCommerce Sires and Content based Blogs, News and Entertainment Sites.